1. 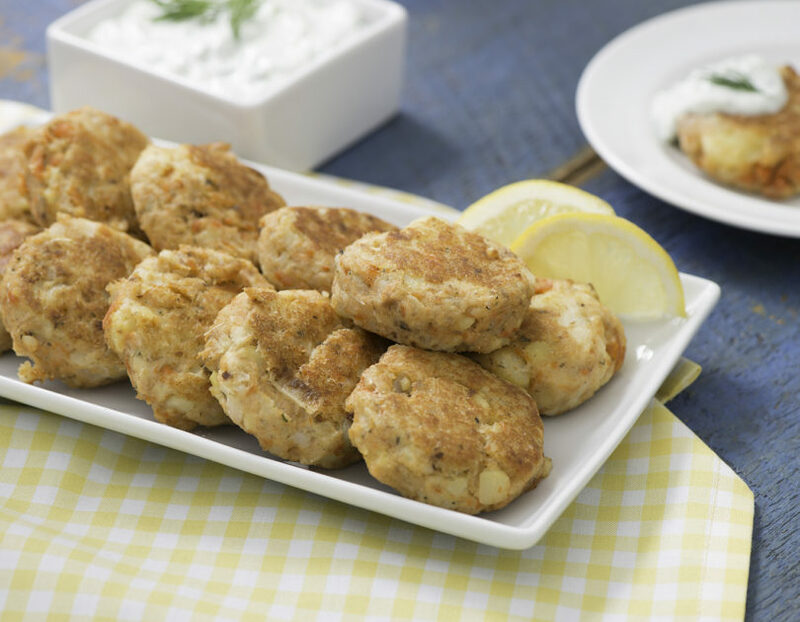 To make the spice blend, combine salt, pepper, harissa, and coriander. 3. 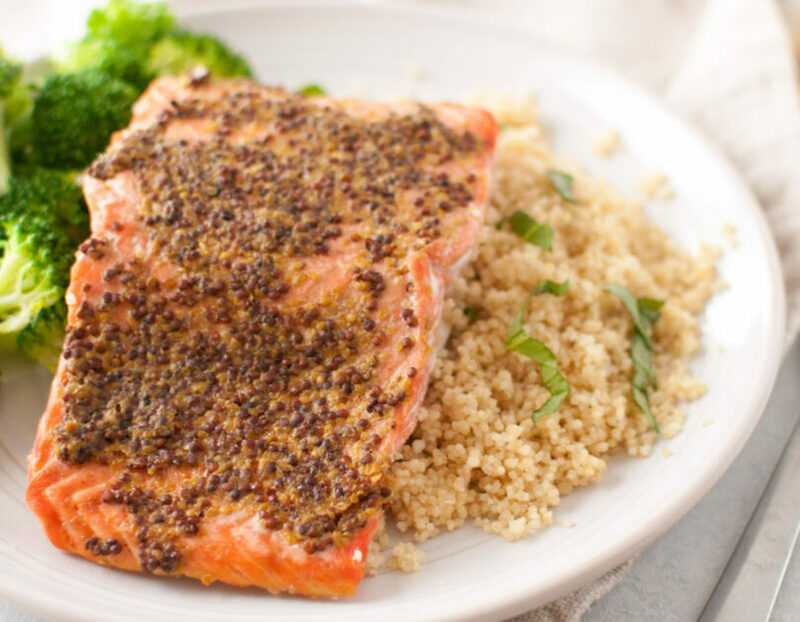 Sprinkle 1⁄2 teaspoon of the spice blend on each side of the salmon fillets. 4. Add one tablespoon of coconut oil to a sauté pan. Turn to medium heat and allow pan to get hot. 5. Once pan is hot, place salmon in the pan flesh side down and cook for 3-4 minutes or until golden brown. 6. Place oven-proof pan in the oven or place salmon on a baking sheet and cook for 6-7 minutes or until salmon reaches an internal temperature of 145F. 7. In a new sauté pan, add remaining coconut oil. 8. Turn to medium-low heat and add asparagus. Cook for 5-6 minutes. 9. Add garlic and shallots, and cook for another 2-3 minutes. Remove from heat and place asparagus into a mixing bowl. 10. To the bowl, add greens, pistachios, celery and avocado. Add one tablespoon of spice mix and toss with half of the lime juice. 11. Combine coconut milk, remaining lime juice and lime zest in a small pot and heat over low heat until combined. 12. 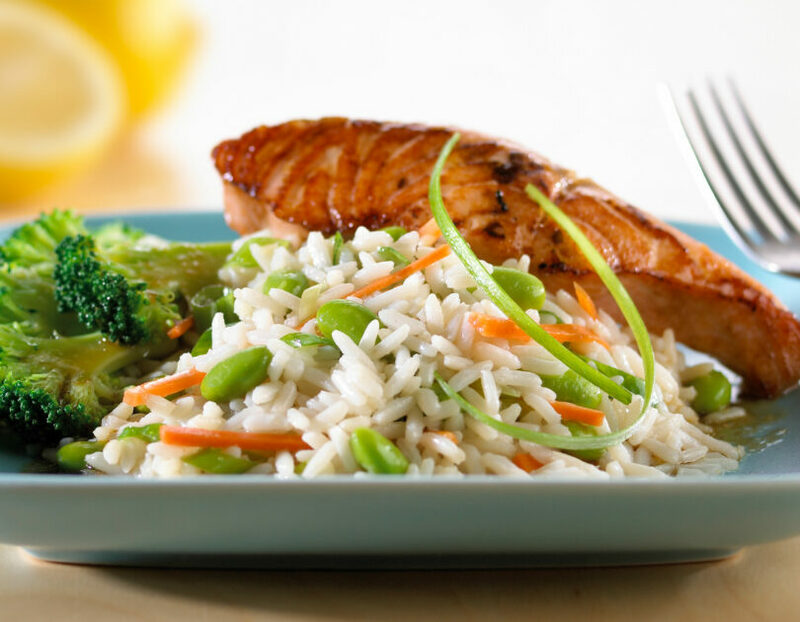 Plate the salad, add the salmon, drizzle the coconut sauce on top of fish, and enjoy! The classic Moroccan seasoning Harissa is a spicy red blend of chilis, cumin and garlic that complements a wide variety of foods. It’s a warm spice that has a beautiful aroma. 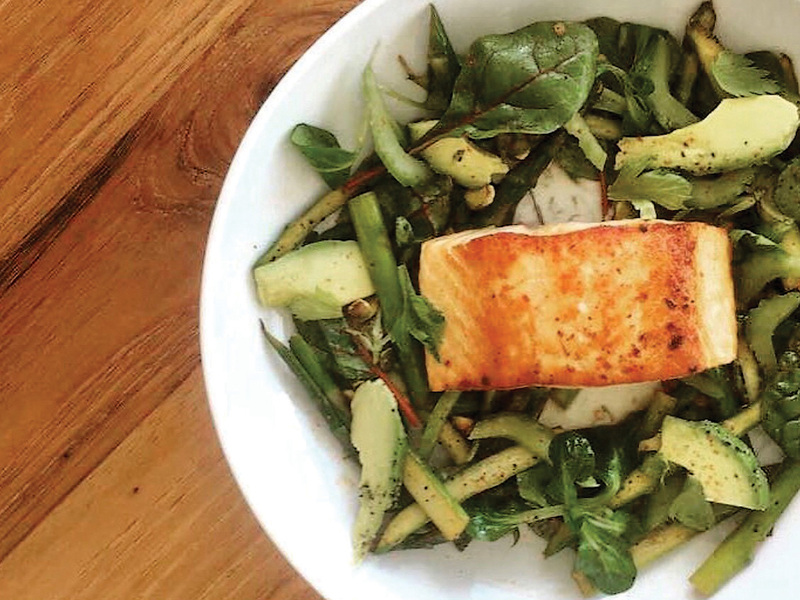 This Harissa Spiced Salmon with Asparagus Salad developed by Chef Ryan Lopez is a great spring time dish and perfect for a pre-workout meal. Chef Ryan Lopez is a private chef focused on sports nutrition and serves as an Ambassador for Seafood Nutrition Partnership. Food is a way to tell his story and it changes with each new chapter of his life. 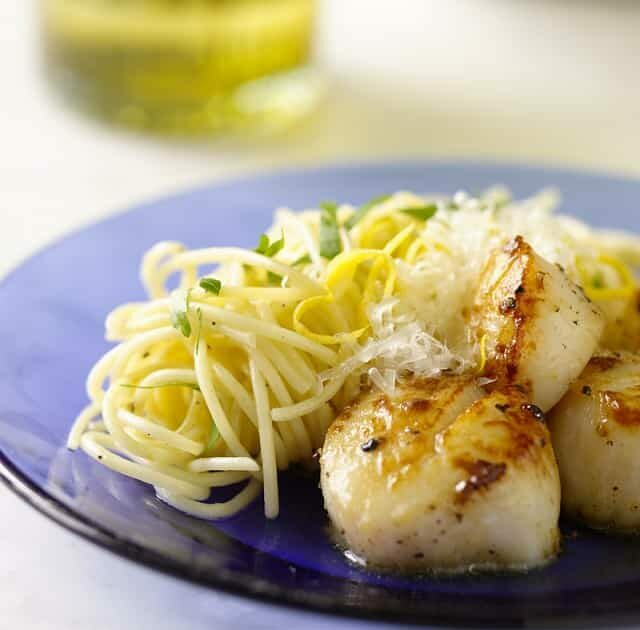 Recently settling down in the San Francisco Bay area is another new opportunity for this private chef. When it comes to food it is taking multiple aspects of different cultures and fusing them to make beautiful and delicious dishes. Chef Ryan was born and raised in Westland, Michigan and at a young age he was always in the kitchen. Chef Ryan graduated from Schoolcraft College with his A.S. in Culinary Art. He is NBA superstar Kevin Durant’s private chef and has been cooking for the winning athlete for the past 5 years.